It is hard to believe that we are two thirds of the way through the building restoration work. And what a journey it is! It is amazing to see our much-loved church so skillfully and lovingly restored to its former glory. And while there is always some uncertainty in a project as large and complex as this, our builders are still optimistic that the work can be completed by year's end. There are certain moments that stick in one's mind. I don't suppose that I'll ever forget when the first scaffolding came down in the fall and we got to see what the exterior of the choir really looked like: the seam-faced Quincy granite cleaned and repointed, the roof and gutters replaced, the window frames repaired and freshly painted. It was a moment of reassurance that all this was more than worthwhile. Each subsequent step has only reinforced that conviction – and multiplied my gratitude that we have been so blessed as to be able to undertake this most needed task. Yes, there have been some inconveniences. We've learned to dodge the scaffolding, maybe even adjust precisely where we usually sit on Sunday morning. We had a winter with more than usual drafts through temporary glazing; there were a couple of Sundays in May when it was distinctly cold in the building, the old heating system having been turned off and its removal begun the day after Easter. We've been reminded how blessed we are to have such beautiful organs, and how fortunate to have such a skilled choir which has carried on a demanding musical program in these more challenging circumstances. We've seen our church literally in a different light: intense clear light when the leaded glass windows were removed for restoration; the soft dim glow as they've been re-installed with the richness of their colors revealed after much needed cleaning. Now in the nave we have harsh light from construction fixtures while our pendant lights are being restored to their former glory. We'd just got used to the wonderful new restrooms on the lower level of the Parish House, when the work on the central stair case made access to them much more difficult. They are still available for use on Sundays, but one must walk around the building to get to them. The Porto-Johns set up in front of the Parish House provide an alternative that is closer and more convenient, if considerably less pleasant. One thing that has impressed me is how well the parish has adapted to the changing circumstances week by week. Our Sunday School has had to become peripatetic as their regular classrooms have been closed off by construction, and other spaces sometimes available and sometimes not. They have assiduously gone on with their program. The trebles and teens of the choir have made do without the gym, which has been needed for a carpentry shop. But perhaps most of all I think of the dedication and resilience of some of our church family who have special challenges in walking: Canes or walkers and construction projects don't mix particularly well. Yet week in and week out they have been at Mass, taking extra care in moving around when the platforms were in the aisles, navigating the changing obstacle course to get to the shrines of our Lady. What an example they have set! Thank you to each who have not let these extra challenges stand in their way. Over the course of the project, several of our sub-contractors have expressed admiration for the beauty of the building. Then, casting an eye around the nave and chancel filled with scaffold and construction detritus, they've asked "And where are you worshipping now?" I'll admit to pridefully enjoying their reaction when I tell them we worship right here, and not just on Sunday: a disbelieving look of amazement as they ask, "In all this?" It is such an important witness to who we are as a church, to what we believe. We are a community called together by God for his worship and our sanctification. And that work is the most important thing about All Saints. It goes on – restoration project or not. Our workmen have to adjust their schedules so that the weekday Masses are celebrated. The Angelus or Regina Coeli rings out from the sacring bell. It is, after all, a matter of priorities. O God of unchangeable power and eternal light: Look favorably on thy whole Church, that wonderful and sacred mystery; by the effectual working of thy providence, carry out in tranquility the plan of salvation; let the whole world see and know that things which were cast down are being raised up, and things which had grown old are being made new, and that all things are being brought to their perfection by him through whom all things were made, thy Son Jesus Christ our Lord; who lives and reigns with thee, in the unity of the Holy Spirit, one God, for ever and ever. Amen. In a profound insight, this same prayer is the one appointed for ordinations of priests and deacons and for consecrations of bishops. The holy Church which God established is the means by which he has chosen to mediate this salvation to mankind, and the ministers of that church are the specific instruments he has appointed to accomplish that work. These two, the sacrifice of Good Friday and the consecration of those who will lead his people and administer the sacraments of the new covenant, have a fundamental unity. The former accomplishes that salvation of God; the latter provides for its application in particular lives. This prayer in briefest summary holds before us the plan the salvation: "...things which were cast down are being raised up, and things which had grown old are being made new, and that all things are being brought to their perfection by him through whom all things were made.." Raised up, made new, brought to perfection. Here we are speaking of the ultimate goal, not about the means by which it has been secured. What has God's objective been in his dealings with mankind? Judgement and destruction? Has it not always been fundamentally about reconciliation and restoration? Raised up, made new, brought to perfection. That is what God desires for his people. Are these not the things we long for? For which our hearts cry in the midst of the waste lands? There is barrenness in each of our lives. The particulars vary, but the fundamental reality is the same. We are bowed down by the weight of our burdens, we are worn out by the weariness of our journey, we ache to have our inadequacies and flaws done away. Even the most blessed of lives comes to an end with the accumulation of years. Not one of us is exempt from that common bane of our humanity. Even if wordless or inarticulate, the depths of our hearts cry out: we long to be raised up, made new, brought to perfection. And that is precisely God's intention. There is a means, to be sure. And we cannot neglect that part. But how easy it is – easy at least for me – to get stuck on the means rather than focusing on the gracious purpose of our God. As St. John proclaims in his Gospel "For God sent not his Son into the world to condemn the world; but that the world through him might be saved." Recently I was looking at an issue of The Chronicle from 1917. The Rev'd Simon Blinn Blunt was then Rector, not quite halfway through his tenure (the second longest in the parish's history). When thinking of those who have made All Saints' what it is, our minds may turn more quickly to Fr. Whittemore under whom the church and parish house were built. But Fr. Blunt shaped the spirituality and worship of the parish. He was the first Rector who was called Father; the first to use the word Mass. He was definitely an "advanced churchman" – and All Saints' became considerably higher under his leadership. We owe much of what we are today to his energetic and determined labors. His words of encouragement in that issue of The Chronicle to the parish as Lent was about to begin were spot on. They are reproduced below. I hope you will enjoy reading them as I did. We are entering upon another season of Lent, and some of us are looking upon it as a time set apart for prayer and fasting, while others are regarding it as an occasion for largely multiplied services, for better and more frequent attendance at church. These are but the outward and visible signs of a great inward and spiritual effort, the visible expression of some great underlying purpose that we are trying to accomplish, the external and perceptible means by which we are working towards some great spiritual end. But no matter who you are, or what your opinions may be, you should regard this Lent as a season of opportunity, your opportunity to make life, with all its likes and dislikes, its prejudices, its fancies, its whims, and its duties, what it ought to be. Among the many opportunities of this Lenten season, in which you will resolve to know Christ better by self-examination, by self-denial, by forgiving and seeking reconciliation with those who have been wronged by you, or have themselves wronged you, let not the opportunity for doing good in your own church escape you. If every communicant would resolve to be an earnest church-worker, who can calculate the result? 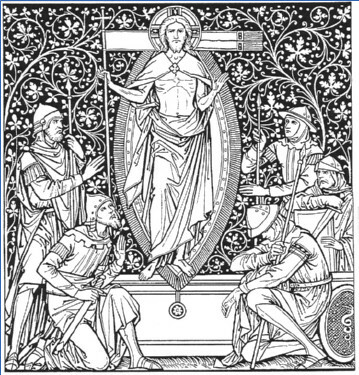 If every communicant were a helper, a sympathizer in every means employed to build up the Kingdom of Christ in our midst, and to pull down the kingdom of Satan, who could hinder or impede the Christian influence of our Church, placed here to represent the truth and the work of God? If every communicant were a fellow-worker with the minister in the service of Christ, who can estimate the "fruits of their labor"? It is the indifferent spirit of many in our midst and the neglected opportunities by still more that produce weakness, worldliness, dissatisfaction and failure in religious life. 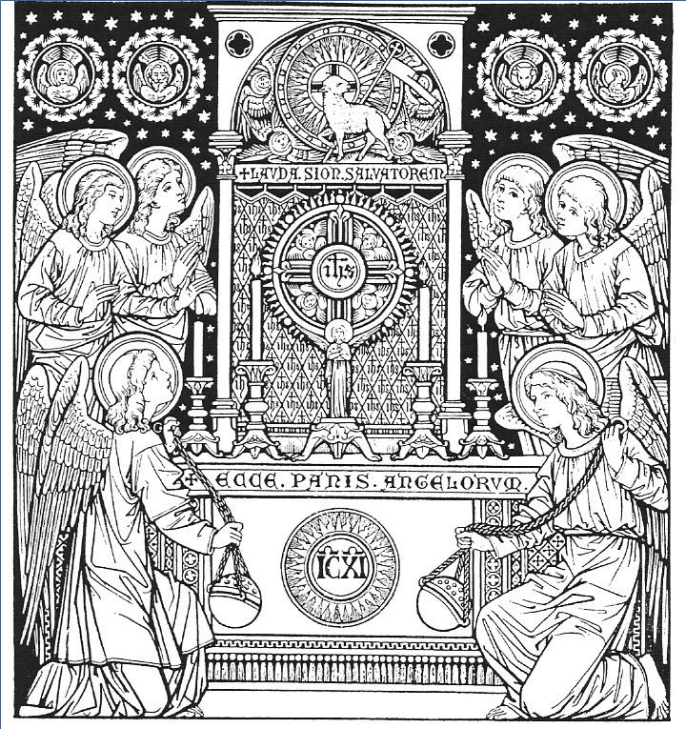 This Lent let every dormant member arouse to a full realization of the splendid work we can do by our consecrated energies as God's own people. It is a blessed thing to collect your thoughts, and consider quietly the condition of your heart in God's sight; to give more time to prayer, both private and public; to engage in good works; to look upon the great love of Christ for you, and ask as a return for it: "Lord, what wilt thou have me to do?" Your blessed Lord saw fit to retire into the wilderness for forty days. Is it not well for you to retire from all social engagements for the same period and for the same purpose? Let Christ be your example. Recognize that your soul stands in need of discipline. Determine upon some particular practices of self-denial. Decide upon some devotions and prayers beyond your ordinary custom. Be faithful in adhering to these practices and devotions throughout the forty days. May God grant us each a holy and profitable Lent, that we may grow in his love and service, and come at the last to the joy of his eternal kingdom. We finally arrive at the celebration of the great mystery of Christmas, when God came to earth in human flesh, so that he might be the savior of the world. If this isn't worth celebrating, I don't know quite what is. Yet in modern times we have found a way to inoculate ourselves to the feast. Like greedy guests at a Thanksgiving Day bash, we fill up on the appetizers and find we have little appetite when at last we sit down at table for the meal itself. Nowadays we have so filled the time before Christmas that when the day itself finally arrives we are long sated and ready to move on to the next thing. What with the parties and special programs, the gift buying, and the decorating, we find that our energy is long gone before the twenty-fifth arrives. Is it any wonder that many of us breathe a sigh of relief when it's finally over? There is someone I know who makes it a point to take down their Christmas tree the day after Christmas. On the one hand I can hardly blame her: it's been up for weeks already. Christmas music has been playing for several months. She's tired of it. But on the other hand I can't help but feel that she's missing something essential, rather like the caricature of tourists who spend all their time taking pictures, and end up seeing the landscape or monuments only through the lens of their camera. We've really gotten it wrong when the preparation results in diminishing our enjoyment of the feast itself. The reason for preparation is so that we may keep the feast when it comes. Let me remind you of a few things which I'm sure you know: Christmas is not about nostalgia, snowy New England landscapes or picturesque street scenes set in Victorian London. Nor is it about family traditions, as meaningful and fulfilling – or as perhaps even disappointing – as we may find them. It is more than gift giving. Gifts would be more properly associated with the Epiphany for that was when the Magi brought their gifts to the young child. Christmas is certainly more than the occasion for conspicuous consumption – as though we could prove our depth of our love by the amount we spend. Christmas is fundamentally about something else. It is about Jesus Christ. "The Word was made flesh, and dwelt among us." As he so often does, St. John points us to the very heart of the matter. The child whose birth we celebrate, Jesus of Nazareth, is the Second Person of the Holy Trinity incarnate of the Virgin Mary. He is the Word in human flesh, and in him God has come to our fallen race. Christmas is about the faithfulness of God in fulfilling what had been so long promised. It is about the magnitude of God's love for mankind, a love so great that He Himself bore an unimaginable cost of our redemption. It is also about the response of faith of the young woman who was honored above all other human beings in being the mother of God. The pure and lowly virgin's response – "be it unto me according to thy word" – exemplifies the way for those who would respond to the love of God. As Jesus would pray in the Garden of Gethsemane, so ought we to pray: "not my will, but thine, be done." Enjoy this Christmas. Take pleasure in your family and in your friends. Remember the bonds of our common humanity as we share with those less fortunate. Enjoy the food and drink and all the special treats. They are all good and fitting things to do. But whatever else you do this Christmas, do not forget the one who loves you more than we can possibly imagine. This Jesus who was born in Bethlehem's stable, whose birth was announced by an angelic choir, to whom the mysterious eastern sages came with gifts and homage – this Jesus came to earth that he might restore you to wholeness and to relationship with God. The Light of the World stands at the door of our hearts and knocks. All we need do is open to him. In the spring of 2012, Nashotah House Theological Seminary established a Board of Visitors on which I was asked to serve. Located thirty miles west of Milwaukee in what was once wilderness, Nashotah is the Anglo-catholic seminary of Episcopal Church. Our summer intern Moses Htaw was a student there; David Radzik who frequently served at our altar the past several years is currently a student. Fr. Andrew Mead has been on the Board of Trustees for several decades. It has a long tradition of Anglo-catholic witness with a Benedictine spirituality. Its emphasis is on the training of pastors to serve the church. I was asked to write an Advent meditation for a booklet that Nashotah is distributing this year. A number of faculty, alumni, and supporters were invited to do so. I wanted to share that meditation with the readership of the Chronicle. I was assigned one of the scripture readings to be used at Morning or Evening Prayer on Thursday of the first week in Advent. But I think it has a wider application as we enter this season of waiting and preparation. Advent does not merely look backward, anticipating the birth of Jesus two millennia ago. It also looks forward toward his return in glory and to that fearsome day when each of us stands in judgement before God. We do well to remember both as we await the coming of the Lord. Since all these things are thus to be dissolved, what sort of persons ought you to be in lives of holiness and godliness, waiting for and hastening the coming of the day of God, because of which the heavens will be kindled and dissolved, and the elements will melt with fire! But according to his promise we wait for new heavens and a new earth in which righteousness dwells. We are a pilgrim people. This is not our final home. We are on a journey to a very different place, indeed, one that is radically so. Sometimes we remember this; many times we don't. We often act as though the first telephone pole were indeed the largest one, not just looking taller because it is closest to us. So we often pay lip service to the world to come, but live as though this one here and now is all there is. Peter is direct in reminding his readers that this world we now inhabit is transitory and that we await new heavens and a new earth where righteousness dwells. The old will pass away: all that we know, all the things we have struggled to acquire, our possessions and the security we thought they'd gained for us. But our hope is in that coming kingdom of God. It is there that we shall find restoration and wholeness. Since this is so, Peter exhorts us to live in such a way that we shall arrive at that goal. Don't lose sight of it. And do what you need to secure it. It sounds so logical, so simple. Yet the struggle of our spiritual lives teaches us that it is anything but easy. The whole of this transient world conspires to keep our attention focused on the here and now. It takes intention and effort to keep our eyes on that goal of God's coming kingdom. Time management consultants talk about the necessity of learning to distinguish the urgent from the important. If you don't, you'll be a slave to urgent but secondary matters, and never get to things that are of fundamental importance. As followers of Jesus, we too need to learn to distinguish, to discern the things of importance. And it is of vital importance that we differentiate between this transitory world and the eternal verities, the land of our sojourn and our true home. The prophet Amos proclaimed, "Woe to those who are at ease in Zion." What does it mean to be "at ease in Zion?" It is enjoying the good things God had given his people, the land flowing with milk and honey and all the blessings which he had poured upon them, but neglecting his commandments and ordinances. No, we must remember that we are a pilgrim people. We must keep our eyes on that destination. And we must shape our lives so that we may obtain that which we desire. Let me tell you about two churches – or rather let me tell you about how I found myself reacting to them. I first went to France while I was in college, majoring in history. I was thrilled to have the chance actually to see some of what I had been reading about, as well as to experience my first overseas trip. The group was from the community college where my father was then teaching. In that week we visited cathedrals, museums, royal palaces, and some of the less high-brow tourist attractions too. It was a wonderful experience and could not have come at a better time for me. The cathedral at Chartres is one of the glories of Christendom and of the middle ages. It is perhaps the most easily recognized of the French cathedrals, due to its mis-matched spires, built several centuries apart in strikingly different styles. Most of the building dates from the early 13th century. While lacking the refinement of final architectural solutions which later gothic cathedrals such as Rheims or Amiens would exhibit, Chartres has a profound vigor and beauty. Its stained glass is a particular treasure for most is original and has survived to the present day. Several days after visiting Chartres, we went to see Sainte Chapelle. It is located in the very heart of Paris, only blocks from Notre Dame. St. Louis built the chapel to house his extensive collection of relics of our Lord's passion, including what was reputedly the crown of thorns. Built in the mid-13th century, it shows how quickly the art of the gothic progressed in the roughly half century since the design of Chartres. It is often described as a jewel box, not only for its diminutive size but also for its exquisite decoration and stained glass. It is essentially one great room, for its small size requires no aisles and piers for structural support. And the walls are almost entirely filled with glass – filling the enclosed space with a rich, delicate light from its original stained glass. Both buildings are treasures. Both were on my "must see" list. I expected to love them both. And I did. But there was something very different for me about the experience of being in those two buildings. Both had been built for the glory of God. Both embodied the very best of art and architecture that could be offered. But one felt dead and the other alive. While reveling in the beauty of Sainte Chapelle, indeed, being overwhelmed by it, I was nevertheless intensely aware of an emptiness. It had been a place of faith, of worship. It was so no longer. It was a museum. Literally, but more profoundly as well. Sainte Chapelle now was now itself a relic: not of the Lord's passion, such as it had been built to house, but of its own history; self-referential rather than pointing to eternal verities of God's love and his salvation mankind. It was beautiful. It was exquisitely maintained. But it was empty. This was in such sharp contrast to what I had experienced at Chartres. While certainly not shabby, the building showed the effects of the considerably greater number of tourists and pilgrims. There were the little bits of clutter, and everywhere the evidences of a place that was in active use. It felt more like a family room – quite formal to be sure. Someone really lived there. Think Windsor Castle, not Versailles. Chartres was a living house of faith. The Mass was celebrated daily. The faithful knelt in prayer even as tourists milled about and snapped pictures of the glories around them. There were candles at shrines lit in intercession. There was life. It was powerful. And it was appealing. That memory of that experience has stayed with me. It has taught me something fundamental about sacred space. Simply put, what goes on there matters. That is an important lesson for us all to keep in mind, particularly as we live through the process of this amazing restoration of our building. We are very fortunate to have such a place in which to gather. But what really matters is not just the preservation of that building, as beautiful or architecturally significant as it may be. The greater significance lies rather in the life and witness which goes on in that place. Put bluntly, should the building alone survive, we will have failed. I am reminded of something written by All Saints' architect, Ralph Adams Cram: "Beauty of whatever kind in any church is put there to the glory of God and not to the admiration of the passerby." Not for the museum goer. Not for the sightseer. It is there for a purpose – and that purpose is to call mankind to the love of God in Christ Jesus. And if we stop proclaiming that message, that Gospel, then it doesn't really matter how beautiful or immaculately restored the building is. Our home is precious – thanks be to God that we are able to renew its fabric and restore its glory! But let us never loose sight of what matters even more. We are living in one of the most remarkable periods of All Saints' life. We are the heirs of an incredible heritage: architectural, liturgical, musical, theological, and pastoral. Together they make this place what it is and what we love so dearly. Every worshipping community is a special place – a place where God makes himself known in the gathering of those who worship him in spirit and in truth. But All Saints' is a particularly special place. That’s not mere jingoism. Its certainly not that we are the best Christians. We are the recipients of a gift of God's grace (which, as St. Paul reminds us, is "not of works, lest any man should boast"). I am always touched when someone who has moved returns for a visit and tells me with longing in their voice that while they've found a new church to worship in, there's no place like All Saints'. Due to the incredible generosity of our anonymous donor, we are embarking on a massive and complete restoration of the building. You've heard about this several times before from me, so I won't belabor the point. Suffice it to say that a hundred and twenty years of use has taken its toll on the building and many things now need to be restored such as the roof, the pointing, and the leaded glass. Systems such as the heating, plumbing, and electric are near the end of their useful life. Further there are needs which did not exist when the building was erected: standards for accessibility, restroom facilities, and fire protection have all changed significantly for the better. We are so blessed to be able to address these needs. I am reminded of my days as a Boy Scout. We were always instructed to leave any camp site we used better than we found it. Likewise, my sisters and brothers, we shall be able to hand All Saints' on the future generations better than we found it. We are currently in the midst of doing our part of supporting this incredible work. We are offering to God our financial gifts in a capital campaign. Our donor has set before us a goal of raising $500,000, which will be matched 3 to 1, to establish a $2 million endowment for capital repair of the restored building. Those who follow us here will not need to fear the ravages of time on the building which we have had to face. Resources will be available to address those building needs as they develop, as they surely will with the passing of years, the effects of weather, and simple wear and tear on systems. As the recipients of such overwhelming generosity from our donor, we certainly must reach that goal. I have been astounded by the support which has been manifested in gifts and pledges for the capital campaign. Gifts, large and small, have been made. Because of the generosity of those in the parish family as well as friends and supporters beyond, we are well over the $400,000 mark. And I am confident that we shall meet our goal. So there are two things that I want to say. To each of you who have pledged or made gift: Thank you. Thank you for taking part in this grand adventure. Thank you for offering up as you have been able from God's provision for you for the glory of his house and the witness to our faith that this parish makes. Thank you for the support and love of this parish which your gift represents. And I want to say this to those who have not yet felt able to participate in the capital campaign. I hope that you will find a way to be part of this marvelous thing that his happening. I implore you to consider what you might be able to do. That you take part is much more important to me than the amount of any gift or pledge that you are able to make. The circumstances of our lives are very different. Some are able to make a large gift. For others, a dollar that is truly a sacrificial offering may represent far more than a million dollar gift. Remember that Jesus said the poor woman who put her two copper coins in the temple treasury had given more than the wealthy had put in. It is a bit of challenge for us to keep both perspectives in mind. The goal does matter. And in the aggregate our gifts do need to reach that goal. But the more profound truth is that God looks at each individual's heart and what their gift represents. You might say, his arithmetic is not quite the same as ours. I invite you – indeed, I beg you – howsoever God has prospered you, join in this great work we are embarking upon. It is my fervent hope that every person who is a part of All Saints' – parishioner or friend of the parish – will be able join in the grand celebration when this project is done, that they may say with justifiable pride, "I have been part of making this happen!"